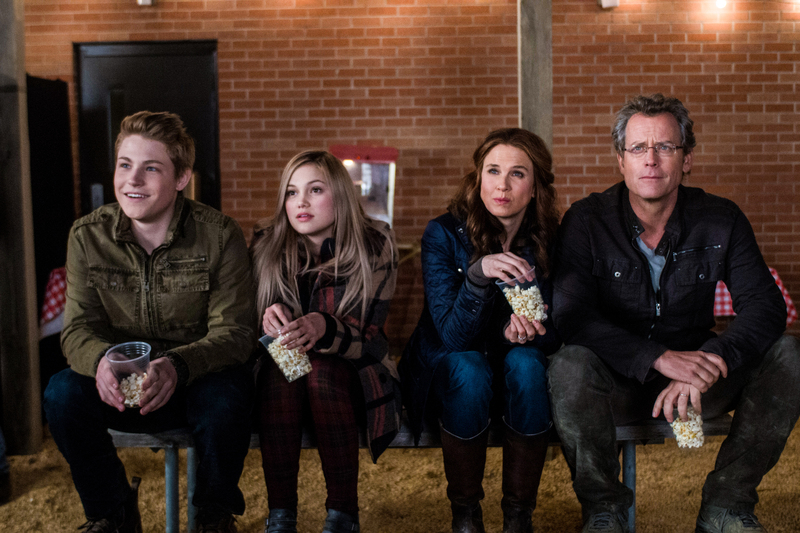 (l-r) Austin Filson, Olivia Holt, Renee Zellweger and Greg Kinnear star in SAME KIND OF DIFFERENT AS ME. ©Pure Flix. CR: Dale Robinette. HOLLYWOOD—Like the woman she depicts in the screen adaptation of bestselling memoir “Same Kind of Different as Me,” Renee Zellweger realized several years ago she needed to make some big changes in her life if she was going to live it fulfilled. The Oscar winning actress (“Cold Mountain”) found herself unhappy, even though she had achieved the sort of success (accolades, fame, money) that others only dream about. So, she “took a moment” (approximately six years) and stepped away from Hollywood to reconnect to the things in life she deemed important—namely, her family and close friends. The blond, soft-spoken Texan candidly spoke about her departure, and how she has now established a way to maintain that precious balance that she sought and eventually found during that hiatus. Of course, the actress, who notably starred in the “Bridget Jones” comedies, the Oscar-winning “Chicago” musical, the dramedy “Jerry Maguire” as well as other comedy and dramatic roles over the past three decades, has put in place a mechanism for not slipping back into old bad habits. Establishing a more grounded work-life balance has made her a happier person, and perhaps a better performer as a result. In “Same Kind of Different as Me,” she plays the wife of a successful art dealer. Debbie Hall (Zellweger) seems to have it all: a beautiful home, an unwavering faith in God and two wonderful teenage children. When her workaholic husband confesses that he has cheated on her and asks for her forgiveness, she surprises him with an affirmative response. She goes so far as to call the other woman and tell her that she forgives her as well. In return for absolution, Don Hall (played by Oscar nominee Greg Kinnear) vows to do whatever it takes to earn Debbie’s love and rebuild her trust again. Debbie asks Don to join her volunteer efforts at a local homeless shelter. There, the couple meet a violent, angry resident but eventually befriend him and learn the tragic story of how he became homeless. Encouraged by Debbie, her husband, Ron, and the homeless man, whose name turns out to be Denver Moore (played by an almost unrecognizable Djimon Hounsou), form an unlikely friendship. Though the two hail from very different backgrounds and social circumstances, each has to come to terms with issues from their past. Soon, Ron and Denver are able to heal each other’s wounds and Ron and Debbie’s marriage is restored. But then they come face-to-face with their biggest hurdle imaginable. For Zellweger, saying “yes” to the film project was easy. “Michael (Carney, the director) called me and said, ‘I heard you liked the screenplay and was inspired by these people’s lives and what they chose to commit themselves to doing,” she says. He assured her that the production wasn’t going to go the usual Hollywood route where the crew goes to a small town, takes over, builds a few sets, then knocks them down afterward, with a polite thank you as they leave. Instead, he assured Zellweger that they would find and upgrade an actual homeless mission in Jackson, Miss., and that’s what the filmmakers did. They found a homeless shelter that was amicable to having a Hollywood crew take up residence for several weeks, and help beautify it. “When she said that, I knew we had found our Debbie,” he recalls with a chuckle. Oscar winner Jon Voight (“Coming Home”) plays Ron’s bigoted father, Earl Hall, who at first bristles over his son’s friendship with the homeless African-American man. That tension convinces Ron to break ties with his dad, with whom his relationship was already strained. 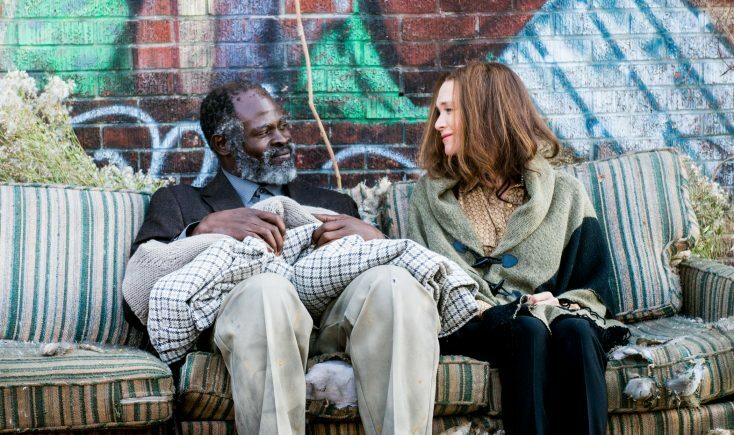 While the homeless crisis is part of the film, filmmaker Carney insists that the drama is much more than that. He says that’s what makes “Same Kind of Different as Me” much more than a faith-based film. Zellweger says she was moved by the each of the characters’ unique qualities. The actress, who has depicted mostly fictional characters in her long career, explains that she was honored to portray such an inspiring woman with a big heart, capable of seeing value in starting again and believing in second chances. Co-star Hounsou (“Blood Diamond”), who began his career as a model, says he recalls the challenges of trying to make it and getting support and encouragement from others. For Hall, who adapted his book for the screen together with Carney and another writer, Alexander Foard, says publicly revealing what happened in his life several years ago has been therapeutic. Zellweger, who has spoken publicly about breaking away from Hollywood and then returning, took the opportunity to reiterate what’s important to her nowadays. “I didn’t quit; I just took a minute,” she explains. “After so many years (of working in Hollywood), you see the process. You see that it overlaps and you see that it doesn’t stop. John Lennon called (fame) ‘the merry-go-round.’ While there is a lot of joy involved in that experience, especially in the privilege of getting to be a storyteller and getting to do what you love in making a living, there’s a lot that gets pushed by the wayside with respect to your personal life. If you’re going to do this job as a storyteller well and you’re committed to it, then there are things that you don’t get to engage in and nurture. Those things might be more important than anything you might be doing, with respect to your professional life. “When you do one long enough, the other one kind of tends to disappear a little bit. And then you have no reason to get off the merry-go-round because there’s nothing you’ve nurtured or built that’s more important than that. That’s imbalance and it’s not healthy. So, I needed to take a minute and watch my niece and nephew turn from babies into toddlers and then into children, and know them, because they’re going to have their birthday parties, and they’ll understand that you can’t be there because your job won’t let you, because the urgency of filmmaking and the time that it consumes, and the urgency of promoting the film and the time that it consumes, they understand that you can’t be there but they’re having the birthday party anyway. And then it’s just your loss. They’re having the barbecue anyway, and your friends are getting closer (to each other) nurturing their relationships, and it’s just your loss. She says that now, in her late 40s, she is making better choices. “I know it’s not more important, and I know that it can wait, despite everybody’s panic and urgency. Now, if it can’t wait, then I can’t do it. That’s what’s different,” she says. Previous PostPhotos: ‘Escape Room,’ ‘Marcella,’ ‘Good Place,’ More on Home Entertainment … Plus Giveaways!! !